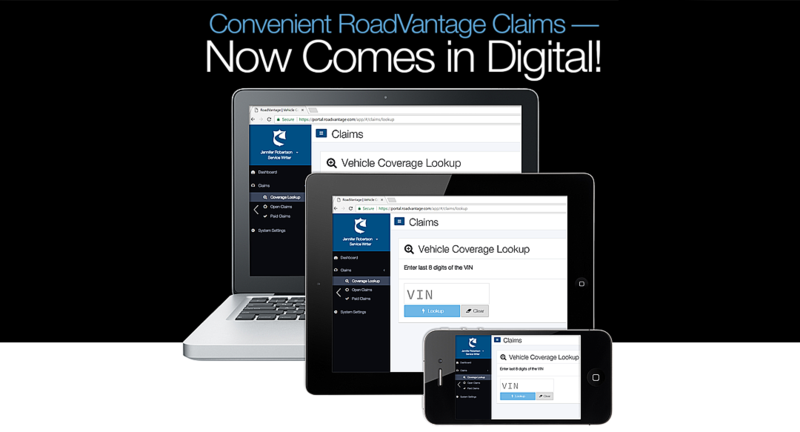 Convenient RoadVantage Claims — Now Comes in Digital! The new Claims Portal from RoadVantage is a web-based, fully responsive system designed to make your life easier! Start any claim… from just about anywhere. After logging in, a VIN is all it takes to start a claim or check on claims status. Why does it matter to you? With an easy-to-follow interface, the RoadVantage Claims Portal will simplify submission and management. With the last 8 digits of the vehicle VIN, you can immediately check coverage, start a claim, describe the details, and even upload photos and invoices. And return anytime to check claims status including open claims, claims details and paid claims. As a delaership admin, you can even add, delete, and manage access for members of your team. If you already have credentials to our DAP system (https://www.scsautoexpress.com/scs.dap.RVT/), you already have an account with the RDV Portal — simply press “Recover Password” to get logged in. If you need to register just press “Not Registered?” on the login page and we’ll get your account set up in a flash.